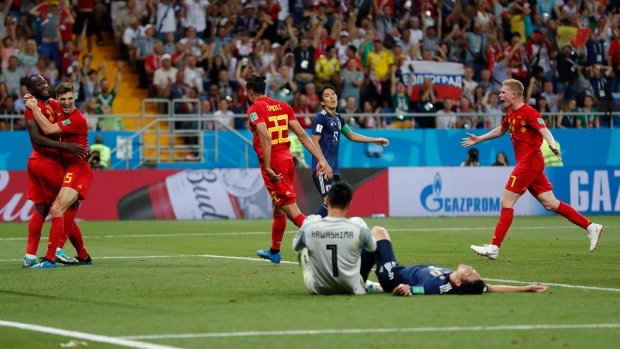 ROSTOV-ON-DON, Russia -- Jan Vertonghen started Belgium's comeback with a wild, looping header and Nacer Chaldi capped it by finishing off a 10-second, end-to-end attack in the final moments. Belgium goalkeeper Thibault Courtois grabbed a corner kick and rolled the ball to Kevin De Bruyne, who dribbled to the top of the centre circle and passed to Thomas Meunier on the right. Meunier one-timed the ball across the area and Romelu Lukaku let it roll by for Chaldi to tap in with his left foot from 7 yards.